Dr Zagierska graduated from the University of Medical Science in Poznan, Poland in 1998 with two medical science specialisations – Doctor of Laryngology (Lek Med – ear, nose and throat) and Doctor of Dentistry (Lek Stom) Hannah worked as a Doctor/Surgeon of Laryngology the Poznan University Hospital for ten years, before opendin her own Dental practice. In 2005 she moved to England and joined the team at Crowstone Dental Centre as a dentist, where she is now among the longest serving senior associates. Hannah has a warm and friendly approach enjoying all areas of general dentistry and has a particular interest in extractions and dental restoration. Hannah is happy to work with NHS patients but also offers private treatment. Dr Sulczynska graduated from Medical University in Poznan. Poland in 1999. Hannah went on to work in the NHS and private practices in Poland before moving to the UK on invitation of the principal of Crowstone Dental Centre. Hannah has been working with us since, enjoying all aspects of general dentistry. Dr Farhana graduated from the prestigious King's College London in 2013. Prior to this, she obtained a Bsc in Biomedical Sciences and MSc in Neuroscience. Having worked at Crowstone Dental since graduating, Sadiyya has treated thousands of patients at the practice. She is an enthusiastic and friendly dentist, providing a relaxed atmosphere for her patients, providing high quality, painless treatment. Sadiyya enjoys providing aesthetic and cosmetic care, veneers, crowns, tooth whitening and smile designs of the finest quality, having been trained by Aspire Academy. In addition Sadiyya has trained with Avanti Aesthetics in Harley Street which enables her to provide anti-aging treatments (anti wrinkle), dermal and lip fillers. 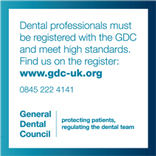 Dr Rajiv Patel BDS (GKT) MFDS RCS Ed studied dentistry at King's College London. Following graduation in 2011 and enjoying a year in general practice he further expanded his skills to pursue his interest in aesthetic dentistry, providing a range of cosmetic treatments including veneers, crowns, bridges as well as all aspects of general dentistry. Rajiv has gone on to complete further training in endodontics and takes passion in saving any tooth where possible. As one of Inspire Dentals long standing dentists Rajiv has worked in many of our dental practices acquiring a vast variety of skills and experience. Dr Sidhu is an exceptionally qualified Dental Surgeon (BDS ) with a gentle, caring approach and a special interest in aesthetic dentistry. He is uniquely also a qualified medical Doctor (MBBS) and holds a Physiology degree (BSc, Hons). Dr Sidhu trained at the prestigious institutions of Kings College London and St. George's University of London and spent several years training and practicing in Medicine and Surgery across multiple specialities prior to finding a passion for Dentistry. With his experience and thorough understanding of the whole body, patients can rest assured they are in safe hands. Dr Sidhu is an experienced Clinical Lecturer (PgCert, Distinction) in Medical and Dental Education providing regular postgraduate training for Health Education England. The Royal College of Surgeons of Edinburgh has awarded him with the Diploma of Membership of the Faculty of Dental Surgery (MFDS). His commitment to excellence has been recognised with regional Best Case Presentation in 2013/14 and he was shortlisted for Best Young Dentist in 2015 for East of England at the Dentistry Awards. Dr Sidhu believes in treating patients to the highest level in all areas of dentistry. He has undertaken additional comprehensive training in cosmetic and aesthetic restorative dentistry with his highly acclaimed mentor Dr. Chris Orr. He provides cosmetic focused adult straightening of teeth for suitable patients, which can often be possible in a short time span. He is a Digital Smile Design (DSD) member and utilises this and CAD-CAM technology to help plan cases with a minimally invasive approach. Dr Sidhu is involved in Dental Sleep Medicine and serves on the committee for the British Society of Dental Sleep Medicine. He can safely provide devices to reduce snoring and tooth grinding to enable patients and their partners to have an improved night sleep. With his commitment to lifelong learning he is developing further skills in Implant Dentistry. He seeks to enable patients to have the smiles they desire with comfort and confidence. Since graduating from Barts and the Royal London in 2005, Dr Panesar has been practising within NHS and private derntistry in Romford and Upton Park before joining East Street Dental Practice. She enjoys all aspects of general dentistry, particularly endodontics and paediatrics. Dr Panesar is passionate about helping people achieve healthy, functional and beautiful smiles and is committed to continuing professional development. She is a member of the British Dental Association. Grace qualified in Poland in 1992 and continued her training in Poland and in the UK. Grace enjoys all aspects of general dentistry including cosmetic dentistry and prosthetic work. She loves working with children and managing anxious patients. Grace is active in continuing professional development and regularly attends postgraduate courses. Languages spoken are English, Polish and an understanding of Russian and Czech. Tiffany qualified as a dental hygienist in September 2014 at the University of Essex. She has a special interest in forensic dentistry and special needs and studied forensic science before becoming a hygienist. Wanting to get involved further in patient care she went on to train in dental hygiene. Tiffany has returned to Essex University to lecture. She is also working on a research project to get oral health care for stroke patients in hospital.